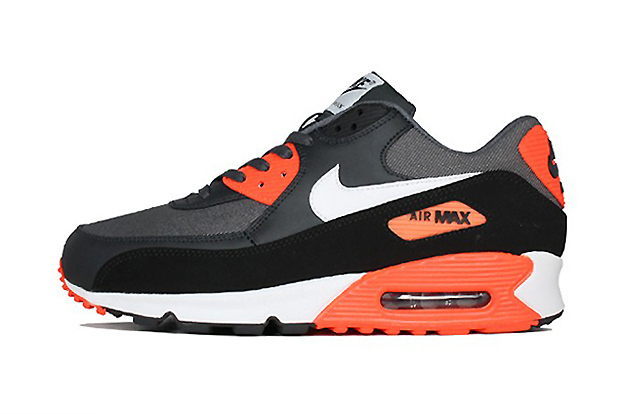 The Nike Air Max 90 continues to receive plenty of love this season as Nike adds to the Premium collection with this Dark Grey/White/Total Crimson colorway. Reminiscent of the classic “Infrared” colorway, albeit a darker version, this Premium version sports a Dark Grey mesh and leather upper with Total Crimson accents and a white Swoosh. The midsole comes in white with a Total Crimson Air Max unit at the heel and a grippy black and total crimson outsole. Grab a pair now from select retailers including Overkill.